Ok. It seemed like the contest went on longer than we thought. But thanks to everyone who has joined! 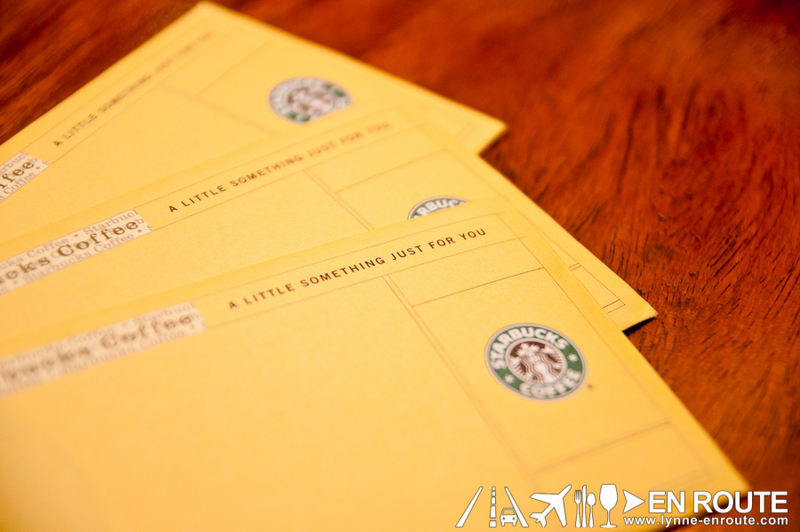 These Starbucks Gift Certificates will surely go a long way for you coffee fanatics out there. Like the other En Route giveaways like that 2012 Starbucks Planner Raffle and those Relik Tapas Bar GC’s, it is up again to The Hat to electronically raffle out the three lucky winners. Thanks to all the others who participated. Please keep reading because we plan to share more stuff with you guys. Just keep checking back to make sure you don’t miss out on anything. To the winners, enjoy, and don’t spend it all at once on yourself. 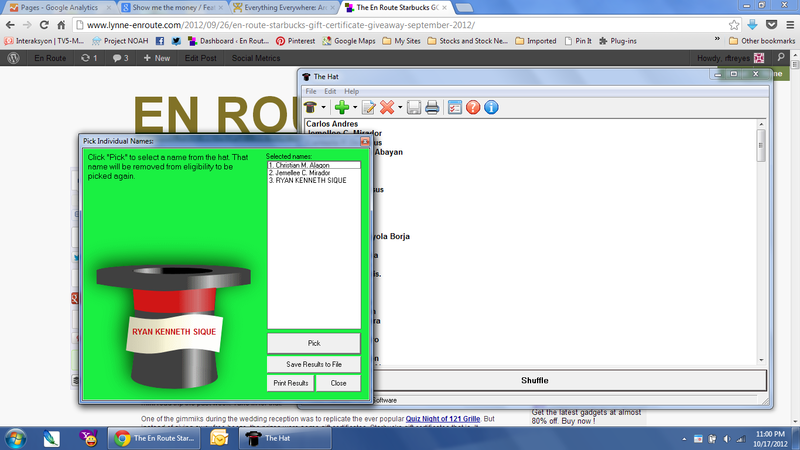 But if you do, take a pic to show you react to caffeine overdose and post in in our Facebook Page’s wall. Prizes can be claimed through either a meet-up or via mail. We will contact you soon, or you can send a message in the Facebook page.